There were an estimated 174,100 toy-related, emergency room-treated injuries — and seven deaths — in 2016 to children younger than 15, according to a new report from the U.S. Consumer Product Safety Commission (CPSC). Riding toys, specifically non-motorized scooters, were the toy category associated with the most injuries, and nearly half of toy-related deaths. All of the riding toy deaths were due to accidents with motor vehicles. Most of the injuries involved cuts and bruises to the head and face. Figures and other data for 2017 toy-related injuries are still being compiled. 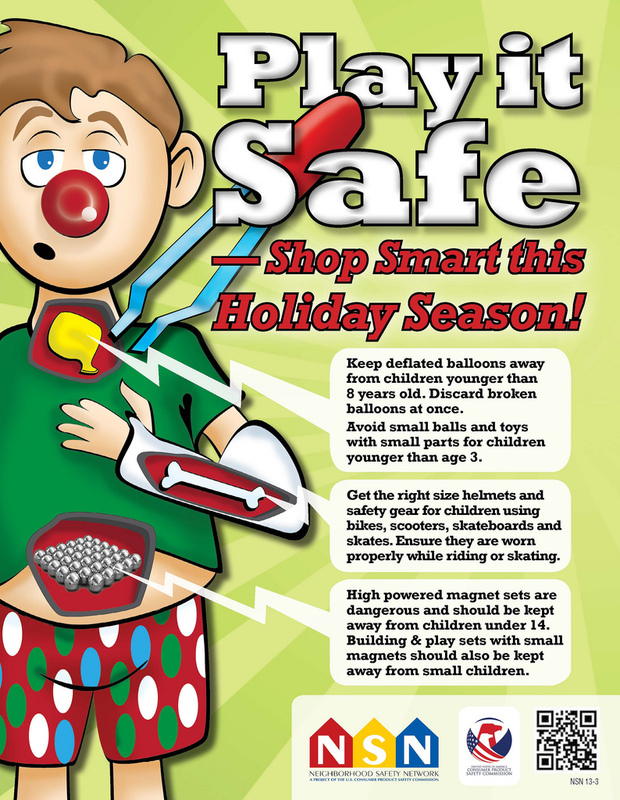 In December, toy safety becomes an issue for parents to keep top-of-mind during the holiday shopping season. In fiscal year 2017, the CPSC issued 28 toy recalls. Toys were recalled for defects including choking, mechanical hazards and fire hazards that can injure a child. Consumers should always check their homes and toy boxes for previously recalled toys. However, many parents don’t realize that the CPSC does not test all toys, and that not all products online or in stores meet safety standards. Unfortunately, safety issues with toys often only become known after a child is hurt. “We see items on a shelf and we assume that if it is in a store, it must be safe. But that’s not always the case,” said Joseph Scott, M.D., chair and medical director of emergency medicine at West Kendall Baptist Hospital. The CPSC, along with other organizations, such as Kids In Danger and the Toy Association, is urging consumers to follow age recommendations on packaging. Check the label: Choose age appropriate toys by reading the product’s label. Children younger than 3 should not have access to toys with small parts, which can cause choking. Also, avoid marbles and small balls for children under 3. Get safety gear. With scooters and other riding toys, supervision is key along with proper safety gear that includes helmets. Helmets should be worn properly at all times and they should be sized to fit. Avoid riding a scooter on a street or roadway with other motor vehicles. Hoverboards: Although not considered toys, hoverboards should be compliant with UL 2272 safety standard. Be careful with magnets: High powered magnet sets are dangerous and should be kept away from children under 14. Building and play sets with small magnets should also be kept away from small children.